Blog > Indigenous > What’s to love about agapanthus? 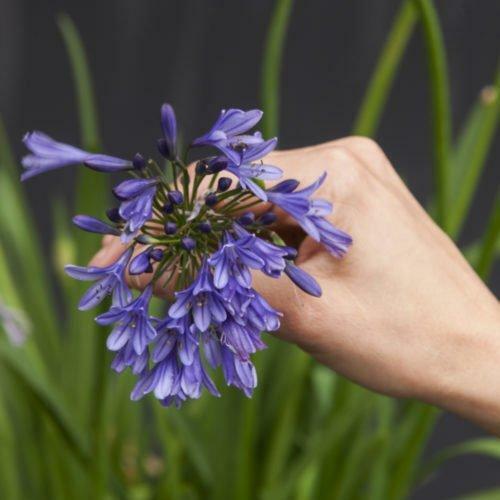 What’s to love about agapanthus? Agapanthus are indigenous to Southern Africa. They are water-wise, hardy plants that will attract beautiful birds and wildlife to your garden. These hardy gems grow in most soil types and can survive being under or over watered – a gardener’s delight! They love our sunny local climate and produce even more flowers when planted in sunny spots. Their fleshy roots are excellent for stabilizing garden beds and preventing soil erosion. Once they’re established in your garden, you’ll have aggies for life. Just remember to divide the clumps every 4-5 years to give each plant space to thrive. They make gorgeous cut flowers and last up to 10 days in a vase of water. An agapanthus hedge is a sight to behold. These fast-growing beauties make for excellent garden cover, edging for garden paths and roadsides, or screening for unsightly walls. Aggies fare well in seaside gardens as they are not susceptible to strong winds and salty air. So many reasons to get planting!